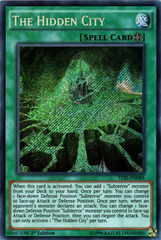 Card Text: During either player's turn: You can send 1 "Subterror" monster from your Deck to the Graveyard; Tribute this card and at least 1 other monster so the total original Levels Tributed equal or exceed the Level of that "Subterror" monster in the Graveyard, and if you do, Special Summon that monster in face-up or face-down Defense Position. 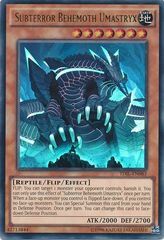 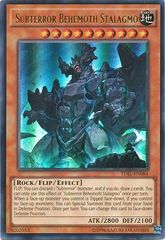 If a "Subterror Behemoth" monster is flipped face-up while this card is in your Graveyard: You can Special Summon this card. 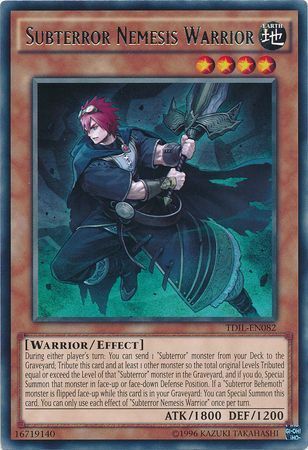 You can only use each effect of "Subterror Nemesis Warrior" once per turn.